Maggie Wallem Rowe is a national speaker, dramatist and author who writes from Peace Ridge, her home in the mountains of western North Carolina. 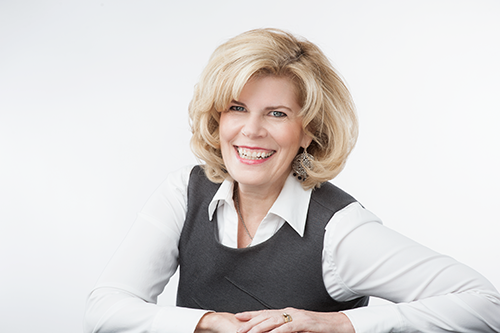 With an extensive background in public relations and ministry to women, Maggie has contributed to over ten books including numerous devotional Bibles. As the author of several original one-woman dramas, she has traveled extensively throughout the United States speaking at conferences and retreats. In 2014 Maggie received her Master’s degree in Biblical Studies from Wheaton Graduate School. Her greatest blessings are Mike, her husband of 42 years, their three adult children, two children-in-love and three grandchildren. Maggie is currently writing her first book, due from NavPress in the spring of 2020. A farmer’s daughter from Illinois, Maggie spent 25 years in ministry in New England with her pastor-husband Mike, where she taught at Daniel Webster University and directed women’s ministries for Vision New England. While living in the Chicago area, Maggie served as a public relations professional for Tyndale House as well as a guest communications instructor at Wheaton College. Maggie and Mike now happily reside in western North Carolina, where Maggie writes from Peace Ridge, their home in the Smokies. As a speaker Maggie has spoken at hundreds of retreats and conferences throughout the U.S. Maggie gave the keynote address at the 32nd Annual DuPage County Christmas Prayer Breakfast, the only woman to do so in the 37 year history of the event. As a dramatist Maggie performs original historical reenactments of the lives of great women of the Christian faith including Mary of Nazareth, Sarah Pierpont Edwards, and Amy Carmichael. As a freelance writer, Maggie has contributed to over ten books including What We’ve Learned So Far, Women’s Devotional Bible (Zondervan),Family Foundations Bible (Thomas Nelson), Chicken Soup for the Christian Woman’s Soul, One Year Bible for New Believers (Tyndale House), and Quiet Reflections of Hope: 120 Devotions to Start Your Day (Revell). Maggie is currently working on her first book as a solo author, due from NavPress in the spring of 2020. In 2014 Maggie earned her M.A. in Biblical Studies from Wheaton Graduate School. Her greatest blessings are Mike, her husband of 42 years, their three adult children and spouses and three grandchildren, Libby, Everett, and Truman. Two new grands are on the way!